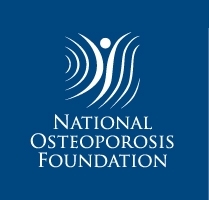 In the Western world, increased consumption of carbonated soft drinks combined with a decreasing intake of milk may increase the risk of osteoporosis. This study was designed to reflect the trend of replacing milk with carbonated beverages in a group of young men on a low-calcium diet and studies the effects of this replacement on calcium homeostasis and bone turnover. This controlled crossover intervention study included 11 healthy men (22–29 years) who were given a low-calcium basic diet in two 10-day intervention periods with an intervening 10-day washout. During one period, they drank 2.5 l of Coca Cola per day and during the other period 2.5 l of semi-skimmed milk. Serum concentrations of calcium, phosphate, 25-hydroxycholecalciferol, 1,25-dihydroxycholecalciferol (1,25(OH)2D), osteocalcin, bone-specific alkaline phosphatase (B-ALP) and cross-linked C-telopeptides (CTX), plasma intact parathyroid hormone (PTH) and urinary cross-linked N-telopeptides (NTX) were determined at baseline and endpoint of each intervention period. An increase in serum phosphate (P<0.001), 1,25(OH)2D (P<0.001), PTH (P=0.046) and osteocalcin (P<0.001) was observed in the cola period compared to the milk period. 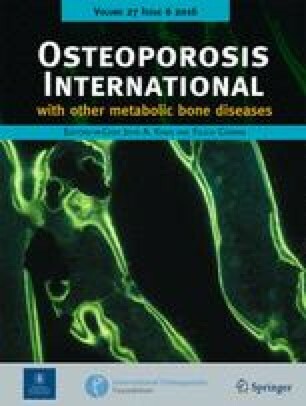 Also, bone resorption was significantly increased following the cola period, seen as increased serum CTX (P<0.001) and urinary NTX (P<0.001) compared to the milk period. No changes were observed in serum concentrations of calcium or B-ALP. This study demonstrates that over a 10-day period high intake of cola with a low-calcium diet induces increased bone turnover compared to a high intake of milk with a low-calcium diet. Thus, the trend towards a replacement of milk with cola and other soft drinks, which results in a low calcium intake, may negatively affect bone health as indicated by this short-term study. All authors were involved in the design of the study. M.K., M.J. and J.K. were responsible for the collection of data, analysis of data and writing of the manuscript. All authors participated in the discussion of the results and revision of the manuscript. None of the authors has any financial or personal interest in Arla Foods. We would like to thank H. Jensen, H.L. Petersen, K. Ebbesen, B. Hoielt, K.H.B. Larsen and K.G. Rossen for their help with this study. Also, we thank Arla Foods for sponsoring the milk.